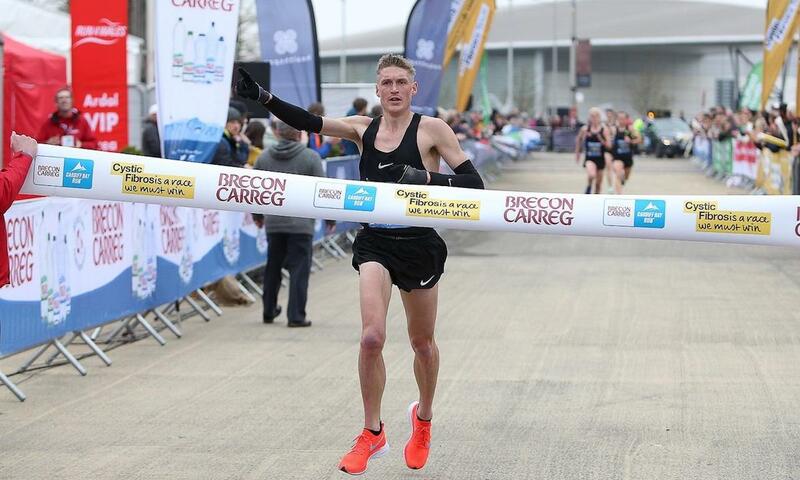 Charlotte Arter and Adam Clarke won the titles in Cardiff, while there were fast times at the Conwy Marathon, the Braintree 5M, the Alloa Half Marathon, the Orion 15 and lots more! Find out all about how GB teams did on the superb Aarhus course in Denmark at the World Cross Country Championships with the full report here. 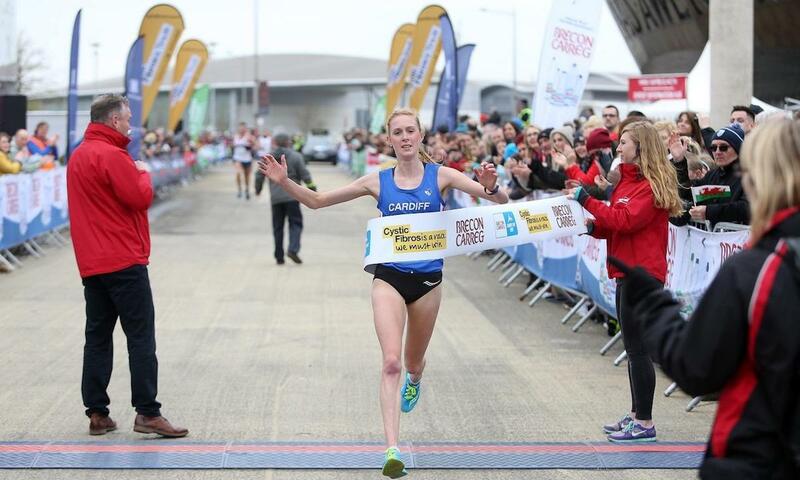 GB international and Cardiff AAC’s Arter was targeting Angela Tooby’s 35 year-old Welsh record at the Brecon Carreg Cardiff Bay Run, and although the parkrun record holder was on course at halfway in 16.07 the strong headwinds slowed her progress on Sunday (March 31). Nonetheless the Welsh half marathon record holder still won in style in 32:39 from Belgium international Nina Lauwaert, who ran 33:05. Ever improving Clara Evans sliced a big chunk off her personal best to take third in 33:26. “It’s brilliant to get the win, especially racing on the streets of Cardiff. The conditions were tough in those last two miles but I’m delighted to get the win,” said Arter. “I was hoping to run a PB and I knew if I did that I would have got the record. I was on pace at the halfway mark and I was feeling good but the wind made it tough and in the end I just wanted to make sure I finished strong to get the win. The late withdrawal of Dewi Griffiths due to illness meant the men’s race was wide open, and was ultimately won by Aldershot, Farnham & District’s Adam Clarke in a big PB of 29:28. 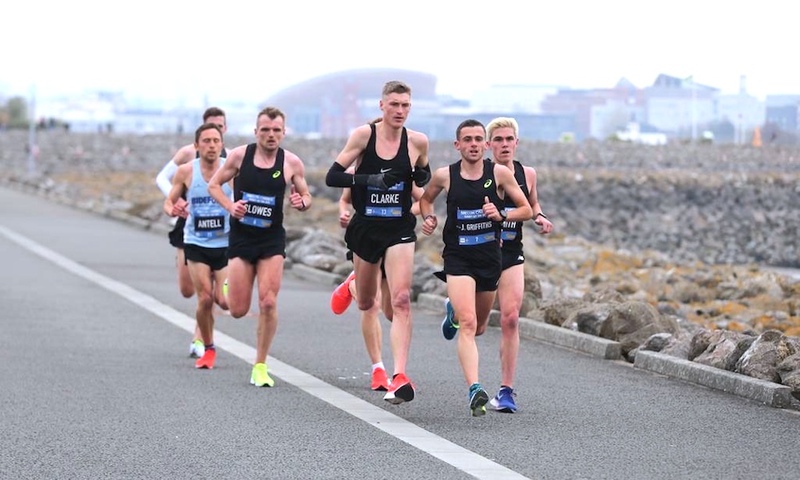 Clarke beat off classy competition from Matt Clowes (who unfortunately had to withdraw at 9k with a hamstring injury), Jake Smith, Josh Griffiths and Ieuan Thomas. Cardiff AAC’s Smith was second just five seconds behind Clarke in 29:33, while Griffiths took third in 29:34. An impressive six men ran under 30 minutes in less than ideal weather. More than 6000 runners took part in this popular event, which also incorporated the Welsh 10k Championships. Swansea Harrier Griffiths took gold ahead of Thomas, who finished in 29:35. Cardiff AAC’s Ciaran Lewis took bronze with an absolutely superb run as he broke his PB by five minutes to run 29:48! In the women’s championship, Arter won gold while Evans took silver in front of Swansea Harrier Alaw Beynon-Thomas. Richie Powell won the wheelchair race in 33:18, almost 10 minutes clear of the second finisher. Conditions were just as tough but for a different reason at the Orion 15 (March 30) when runners took on the classic cross country endurance event in North London. Hercules Wimbledon’s Richard McDowell took the men’s win in 91:27 while Trent Park’s Emily Jeanes was the women’s victor in 1:55:32. 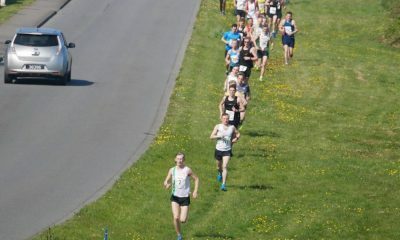 Victoria Park Harriers’ Josselin Polini and Daniel Steel were the two men’s runners up in 95:30 and 96:24 respectively. Carla Brown returned to the race she always excels at to take the women’s second prize in 1:56:50, ahead of Serpentine’s Sarah Pemberton’s 1:59:38. The Conwy Marathon saw victory for the formidably brilliant Andrea Rowlands of Eryri Harriers, the V40 taking yet another win in 3:11:21 (March 31). It was a competitive race for the title with Miranda Frudd just holding off Kirkby’s Jennifer Houghton by two seconds! Frudd ran 3:15:20 to Houghton’s 3:15:22. It was nearly as close a battle for second in the men’s race, after North Wales RR’s Martin Green took the win in 2:44:48. In the end Alan Bodden took second by a mere 36 seconds in 2:52:12 from Eryri’s Ian Edwards’ 2:52:48. 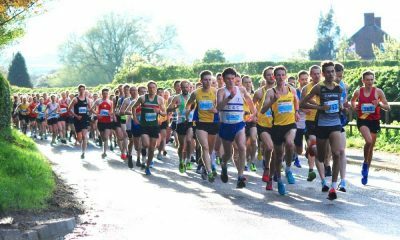 Dropping down in distance to the Braintree 5M in Essex, Havering’s James Connor took the men’s title while Springfield Striders’ Liz Davies was the women’s victor (March 31). Connor won in a fast 25:05 from Ware Joggers’ Michael Waddington’s 26:00 with Billericay Striders’ V40 Crispian Bloomfield finishing quickly behind in 26:04. Davies’ winning time was 27:50, a superb result for the V35 and more than two minutes clear of her nearest rival. Witham RC’s Rachel Sweatt took second in 29:59 while Lindsey Colman was third in 30:36 – great racing! 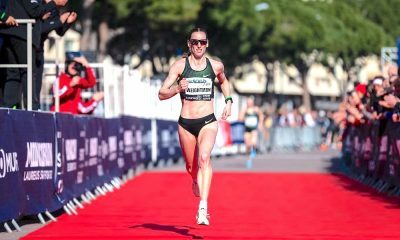 The Alloa Half Marathon saw some really classy performances on Sunday (March 31) with Kevin Wood and Morag Millar recording some elite level times. Wood took the men’s win in 68:23 from Michael Wright’s 70:11 with John Sharp just over two minutes back in 72:25. Millar ran a fantastic 76:55 to claim the women’s title from Jennifer Walton’s 80:15 and Chloe Cox’s 81:00. The Dorney Lake 20M Marathon Prep event saw some strong results for Brighton & Hove AC’s James Turner (1:50:43) and London Heathside’s Catrin Taylor (2:11:57) in typically windy conditions by the water on Sunday (March 31). Taylor was four minutes faster than her third place from 2018. Turner took victory from training partner Brendan O’Boyle who ran 1:52:40 while Bracknell Forest’s Neil Kevern was third in 1:53:02. Taylor was chased down in the women’s race by club mate Josie Hinton, who ran a great 2:13:37 for second. Gemma Buley was third in 2:17:47. The Dorney Lake 24M race saw wins for Patrick Hayes in 2:24:12 and Geri Taylor in 3:09:15. Another ABT training group member won the Dorney Lake 16M in Ben Short, with a 1:30:35 run whilst Jaydee Peters of Woking AC won the women’s in 1:52:46. 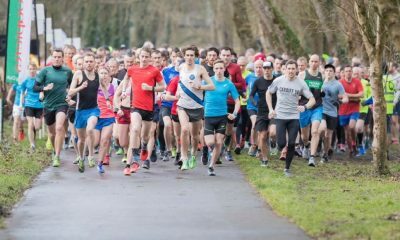 The Bedford Autodrome Running Grand Prix Series hosted a marathon, a 20M, a half and a 10k and 5k too on Sunday (March 31)! Warren Parish took the Bedford marathon win in 2:37:00 from Stephen Buckle (2:40:58) and Laurence Wong (2:50:11), while Michelle Byatt was the women’s victor in 3:36:51 from Lydia Birtwhistle-Sawyer (3:55:34) and Annette Clarke (3:55:47) – a tight finish there! Jason French won the Bedford 20M in 2:03:38 from Ben Wimpory (2:11:13) and David Giles (2:14:16), while Roisin Cloake was fourth overall in 2:15:54 to win the women’s from Sabrina Crothall (2:18:35) and Sophie Boyle (2:28:11). The Bedford Half Marathon was won by Jolel Miah in 81:08 from James Eckloff’s 81:14, with Tim Cook taking third in 82:39. Jessie Gooderham won the women’s in 90:10 from Maree Jesson (1:40:13) and Elle Laird (1:41:51). The Bedford 10k was won by Robbie Lightowler (33:57) and Sarah Cashin (42:16). Mark Chaney Baxter was second male in 34:51 from John Uff’s 35:37, while Jess Cox took the second lady’s prize in 43:03 with Sophie Lapin in third in 43:57. The Bedford 5k was won by Cameron Cass (16:13) and Sarah Ritchie (20:21). International athletes Marc Scott and Hayley Carruthers were the fastest at UK parkrun this weekend (March 30) with Scott running 14:34 at Darlington South while Carruthers ran 16:20 at Brueton parkrun. Check out the full top 10 here.